This Site is owned and controlled by Leisuretec Distribution Limited. 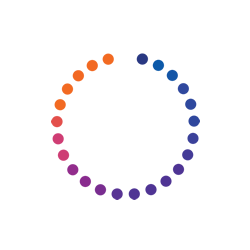 The information and data on this Site is subject to revision without notice and Leisuretec Distribution Limited may revise these Terms and Conditions at any time by updating this notice. i) All intellectual property rights in and to the site are the property of Leisuretec Distribution Limited and you agree not to copy, reproduce, transmit, distribute or create derivative works of any part of the Site for commercial gain, nor assist any third party to distribute or commercially exploit all or any part of the Site. In the normal course of browsing through the site Leisuretec Distribution Limited agree to your printing or downloading to a stand alone personal computer extracts for personal use provided both that Leisuretec Distribution Limited is the acknowledged source including the reference www.leisuretec.co.uk and that Leisuretec Distribution Limited may revoke this permission at any time. ii) The Site is provided on an "as is" and "as available" basis and Leisuretec Distribution Limited makes no express or implied warranties or representations in relation to it. This includes, without limitation, any implied warranties or representations of satisfactory quality, fitness for a particular purpose, availability, completeness or accuracy. 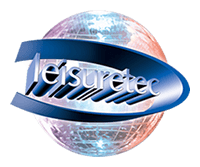 iii) Leisuretec Distribution Limited shall not be liable for any loss or damage arising from, or in any way connected with, your use of the Site or any information contained or derived from it (even where Leisuretec Distribution Limited has been advised of the possibility of such loss or damage). This includes, without limitation, any damage for loss of profits, loss of information, or any other monetary loss. iv) Leisuretec Distribution Limited shall not take responsibility for the availability or content of any external sites or resources to which it has hyperlinks and might not endorse or approve of any material on sites linked from or to this site. In particular you should note that home pages of sites affiliated to Leisuretec Distribution Limited are individually responsible for their content and expression of opinions. Leisuretec Distribution Limited does not take responsibility for the content of or opinions expressed in any external site and might not endorse or approve of all or any material on the site.